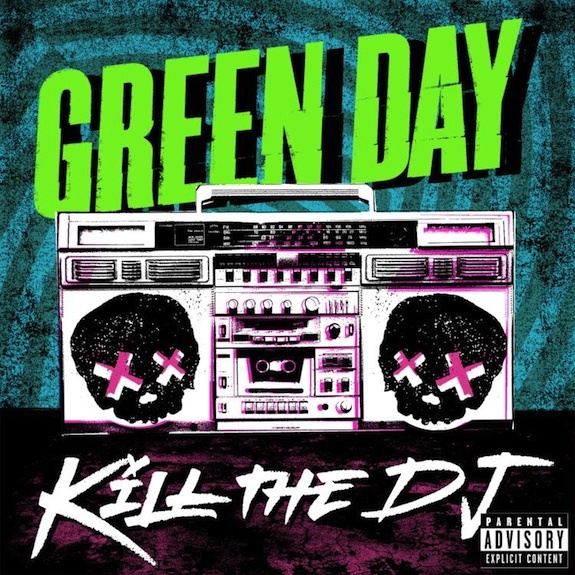 Earlier this evening, the Idiot Club posted the artwork for Green Day's next single "Kill the DJ." According to various reports and some subtle leaks from the band, "Kill the DJ" will be released on August 14th - but that has not yet officially been confirmed. Let us know what you think of the artwork in the comments!